U.S.S offers a fully integrated approach to users in any required field to efficiently store and retrieve materials on any nature, size, weight or format. Our secret lies in providing services no one else offers. We reinvent storage solutions to enhance space for any industry or person use. This integrated approach meets every requirement for both Industrial or Commercial steel storage. Through application of each on the encompassing elements. With a team of technical draftsmen, we have incorporated world renowned 3D automation software “Autodesk Inventor” or Autocad. This software enables you to view the complete installation before building has started. This systems is a specialist 3D mechanical design solution that allows the designers to migrate their current 2D drawings into productivity enhancing 3D design environment. With this technology everyone can see the 3D model from all angles on their computer screens and can validate the design, with a clear understanding of the designers concept. An integral part of U.S.S diverse structure is the on-site manufacturing facility ensuring optimal material utilization and total production consistency. Quality Assurance from a “right first time” attitude is combined with our company objective: “A total quality control philosophy is our standard and is practiced at every stage of the process from sourcing of raw materials, design of tooling, selection of appropriate production methods to final inspection prior to dispatch. 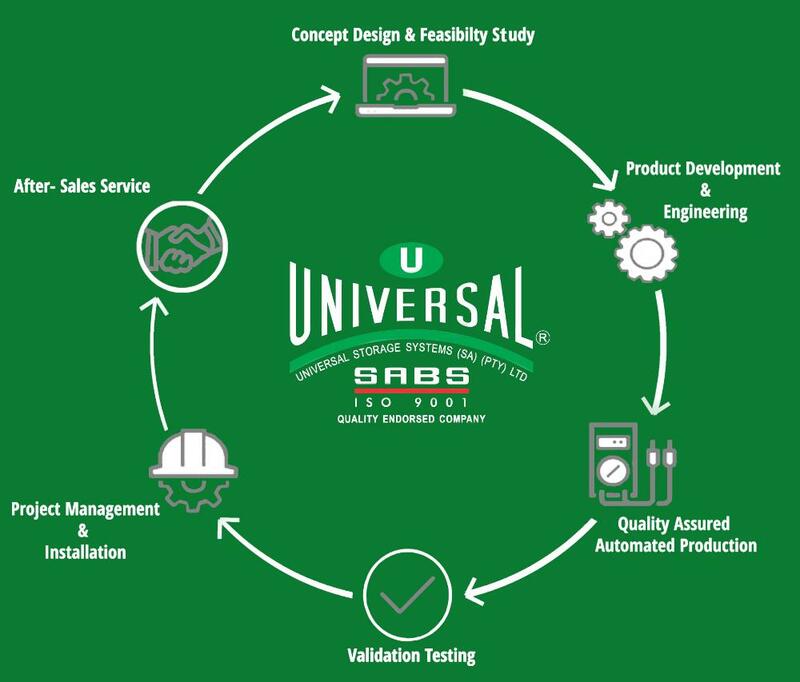 U.S.S quality systems are designed to meet ISO 900 and SEMA. SEMA certified project managers and a team built over ten years U.S.S creates installations meeting the most stringent standards. We are committed to maintain and further improve the Company’s Quality Management Systems., Which have been developed and established in accordance with the requirements is ISO 9001 International standards. Our integrated approach, team involvement and the benefits derived from using the latest technology enable us to offer Logistic System Solutions backed by an experienced and committed team dedicated to the supply of cost effective, value engineered and optimize storage systems of consistent and proven durability. From the beginning of your projects design until long after your projects installation. U.S.S is here to support,deliver and show exactly why we are the leader in manufacturing,supplying and installing steel racking,shelving and mezzanine flooring.